I am making a few different kinds of Christmas cards this year. I get bored pretty fast when I have to make too many of the same kind, so I try to have at least 3 or 4 different designs that I will make. And I always want to have one design that is so quick and easy that I can put one together in a hurry if I need an extra card. This year, this is that quick and easy card, one that can be made, start to finish, in less than 10 minutes. What makes this card special is the die-cut front. It is also what makes it quick and easy! The Frantic Stamper Mix 'n Match squares dies cut this really special card front in a single pass through the die-cutting machine. I cut the card to 4 1/4" x 11" and folded the card so it has a top fold. Then I used the three square dies from the Frantic Stamper Mix 'n Match Christmas Windows set of dies along with the the star from the Frantic Stamper Mix 'n Match Americana Square Windows die set, taped together in a 2x2 square with some post-it tape, to die cut the card front. 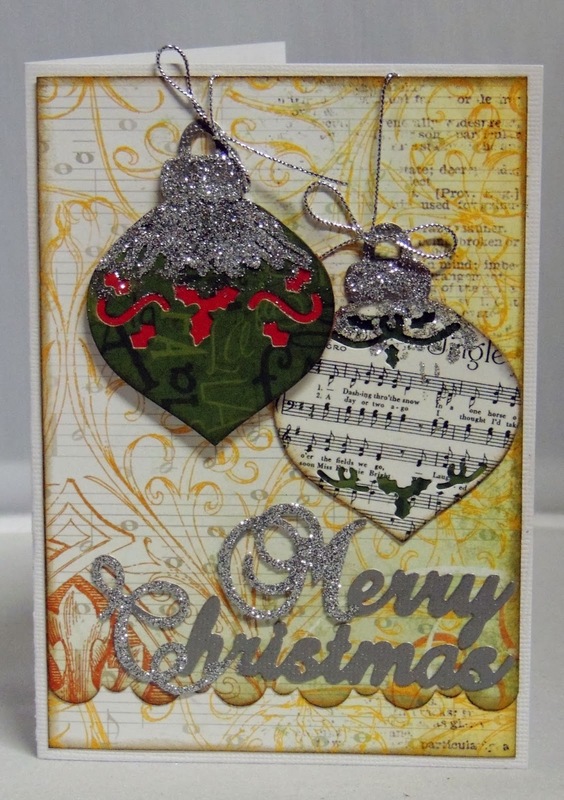 I lined the inside of the card with some snowflake patterned paper and added "Merry Christmas" cut using the Frantic Stamper Mix 'n Match Merry Christmas die. A simple (and quick!) ribbon knot finished the card off. I think the card is simply lovely. Don't you agree? I really fell in love with this owl when I die cut him out of chevron paper! It just gave him so much character that I didn't think he really needed anything more except that I cut him a second time out of white card-stock and pieced the pieces back in to his eyes and beak. He is mounted on a simple patterned paper, over a branch I die cut using the branch die from Frantic Stamper Spooky Owls and Branch die set. The speech bubble was hand-cut, and the Guess Who hand-lettered. The whole card is framed by foam mounted pieces, mounted in such a way as to give the feeling of a shadow box. Remember that you can participate in this challenge; create something using any Frantic Stamper die or stamp and using the challenge inspiration. Take a photo of your work, upload it, and leave us a link to the photo in a comment to the challenge post. Tell us also how you think your photo meets the challenge. Its that time of year already and I have been creating lots of Christmas cards to hand out to friends, family and work colleagues. For this card, I followed the sketches basic layout. I replaced the flourish with the double Christmas Baubles and added the message at the base. Both Baubles were cut from patterned papers and lined with different solid colored card so that the color showed through the cut outs. As a final dedication to Christmas, I added lots of Silver glitter to the tops of the baubles and the first letter of each of the words. 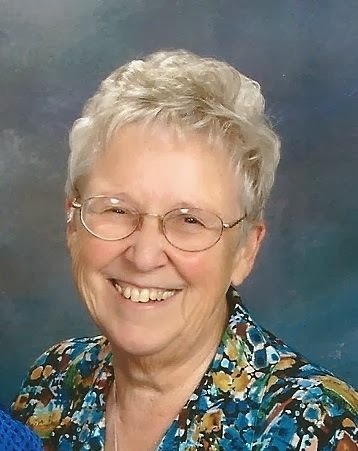 November Challenge / Bless You! White card base (6 1/2" x 5") Second Layer Blue Metallic Paper (6 3/8" x 4 7/8") Third Layer Blue Swirl ( 6 1/4" x 4 3/4") on the third layer use the Dazzling Diamond Border Die to accent the lower half of the layer and adhere ribbon of choice. Cut Bird Cage using Silver Foil paper, the base is made using the Parisian Lamp Post Die (lower section only) with wood grain paper. Distress the lamp post base with Tim Holtz Distress Marker Gathered Twigs. Cut Peacock Feather Die using Peacock Feathered Glitter paper. Arrange elements on the card base, adhere when correctly positioned. Adhere flowers, glitter dots and other embellishments. I love suede paper with it's rich colors and luxurious feel. I used a Frantic Stamper doily die and purple suede paper to cut my doily. I used glue stick to attach my suede paper to my card. You would think that suede paper is tough to attach something to but it's very easy to work with. To add the glue stick to the back of my doily, I tapped the glue stick rather than swiped it. This avoids any build up in the intricate cuts! 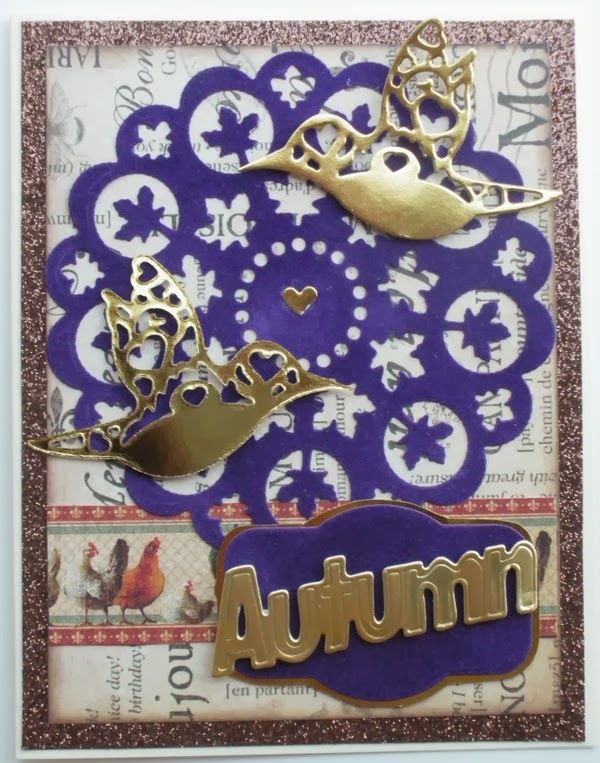 I added hummingbirds and the word "Autumn" using gold foil card stock. My background paper is from Graphic 45. I love the old world feel of this Line. I was a bit daring and used a bronze glitter card stock as a mat for my card front. My card base is ivory. When I designed Twigs the Snowman and the Snowflake Flurry dies for FranticStamper I never imagined how much I would enjoy creating with these dies! Twigs and all of his accessories are going to be among my favorites for sure! The dies were all cut from white 80# card-stock and parts were colored with Copic Markers, with the exception of the filagree in Twig's abdomen. It was cut from silver card-stock with the Twigs die; the silver abdomen was discarded but all the small pieces from the filagree were saved and carefully pieced back into the abdomen of the white card-stock Twigs. The large snowflake was made by stacking die-cuts from the two largest dies from the snowflake flurry die set, offset by 30", and then finished with a small pearl in the center. When I was done assembling my card I added a shimmery, snowy effect by spritzing the card front with a little mist of water mixed with Pearl Perfect Pearls mica powder. I hope you have enjoyed my Merry snowy day card. And I hope you will think about adding Twigs to your holiday shopping list! Use Prima Doll Tags for this project. 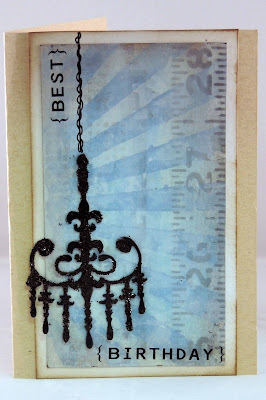 This tag is a perfect size and allows room for adding embellishments. Cover tag with Blue Swirl Glitter paper. Cut Peacock from two different shades of blue papers, this one is a Peacock Glitter for the feathers and a Shiny Blue for the body. Use Light Blue and Yellow Seam Binding to make the wrinkled ribbons. Wet the ribbon, scrunch and let dry overnight to create messy look. 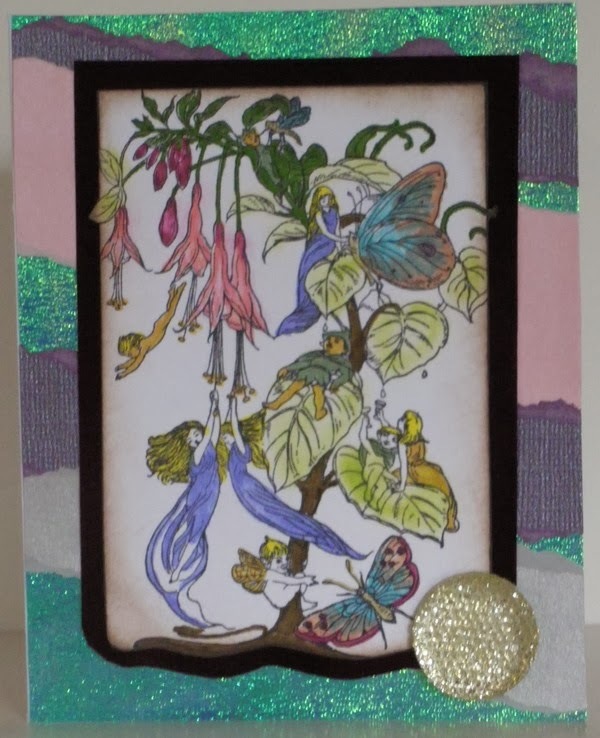 Using a Making Memories mini Vintage Findings Nature kit proceed to add embellishments. Add patterned Washi Tape to the bottom of the tag. Decorate using skeleton leaves, Prima butterflies, colored leaves, Cabachon flowers and Elizabeth Craft Design Glitter Dots. Remember it doesn't have to be identical, that is the fun in creating. 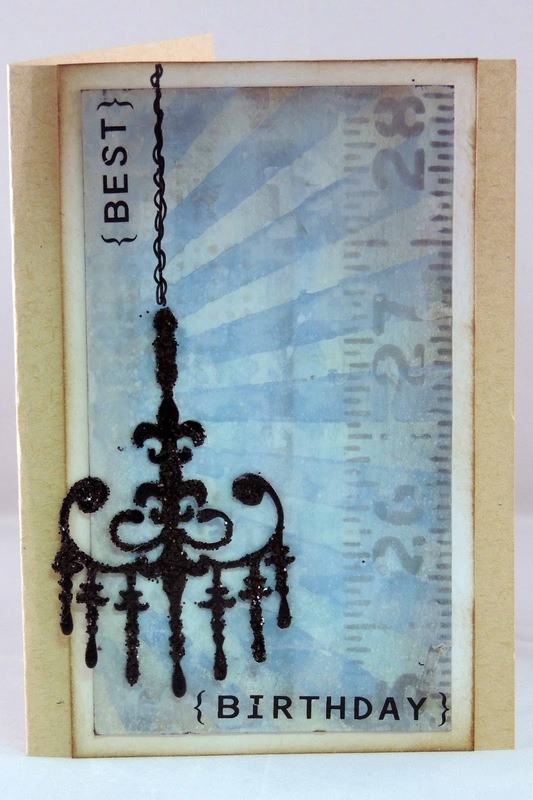 This card was inspired by Tim Holtz's September Tag of the Month tutorial where he demonstrated the use of his new stencils. While I didn't follow exactly what he did, I did use the same principles with the mixtures of paint and inks to create texture. To finish my card off, I die cut a Chandelier from the Frantic Stamper range of dies and coated it in a layer of Black Soot Distress glitter to add some glam to my card! I have a fairy stamp from Frantic Stamper. I've had it for a while and decided to use it for today's project. It is a beautiful and intricate stamp with a lot of detail, just right for coloring! I started out coloring the large leaves with chalk. I was planning on doing the whole image with chalk but realized that the detail needed some markers - so, I finished my coloring with Distress Markers. I debated whether or not to color the white background. I decided not to because I wanted the stamp image to show and I thought coloring a background too would detract from that. I adore the whole idea of traveling by ship - sadly, my first made me so sick that I doubt I'll ever go again. That doesn't stop me from creating a ship inspired card! This card was easy enough to create. I started with strips of card that I colored with the ink pads then tore down the centre of and adhered together to form the waves. Simple but very effective I think! 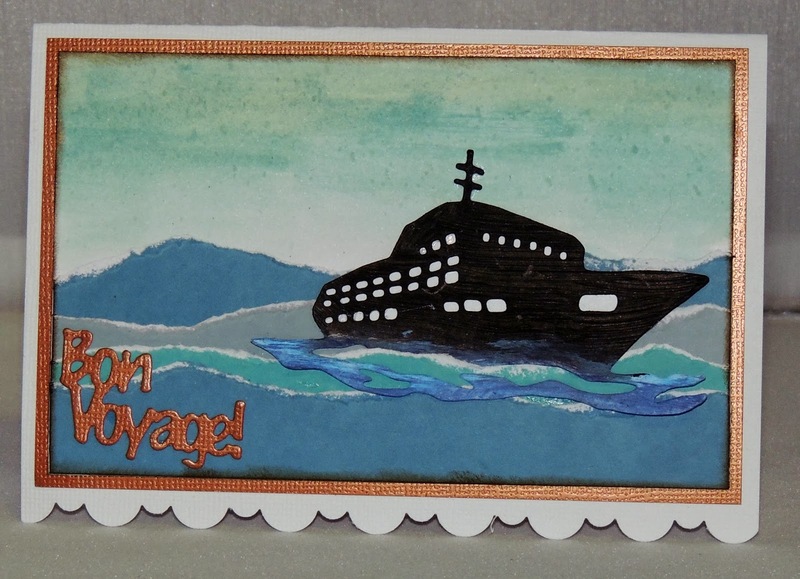 I die cut the ship from Ranger Specialty Card and coloured it with black soot and walnut stain distress paints, and the water portion with shades of blue and green distress paints. 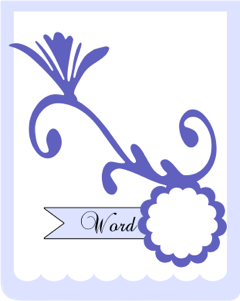 We are excited to tell you about a new monthly challenge here on the FranticStamper Blog! Every month we will be posting a new challenge (on or near the first). The challenge may be a sketch, a color combination, an inspirational photo or phrase, or something entirely different! Your job will be to create something using any Frantic Stamper die or stamp that meets the challenge. Take a photo of your work, upload it, and leave us a link to the photo in a comment to the challenge post. Tell us also how you think your photo meets the challenge. The design team will also be creating for the same challenge, and I will post their work on the 15th. Once their work has posted, we will cut-off entries for the challenge and randomly select the winner from the entries who meet the requirements. The winner will win a prize from Frantic Stamper and will have his/her entry featured on the last day of the month, just in time for a new challenge! Are you excited to play along? Here is the first challenge... a sketch. Don't feel limited to use the sketch in a card! Be creative and have fun!